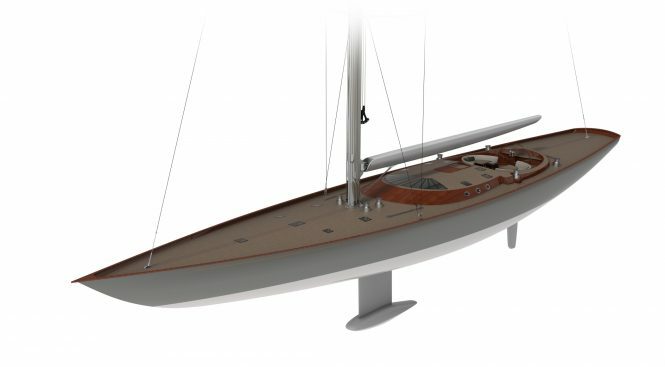 At the Southampton Boat Show, British shipyard Spirit Yachts revealed its 34 metre wooden sloop concept: SPIRIT 111. 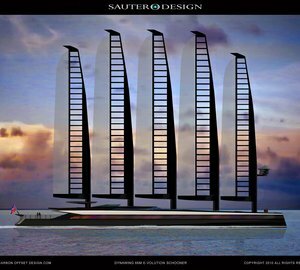 Once built, she will be the largest single-masted superyacht constructed from wood since the creation of S/Y SHAMROCK V in the 1930s. The eye-catching interior design of SPIRIT 111 sets her apart from most other superyachts, as every wall is curved. 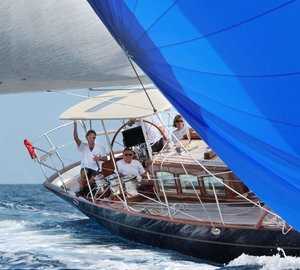 Due to her innovative deck arrangement, a professional crew is unnecessary to sail her, allowing her experienced owner and repeat Spirit Yachts client (who requested ‘the most beautiful yacht on the water’) a more personal sailing experience with family and friends. 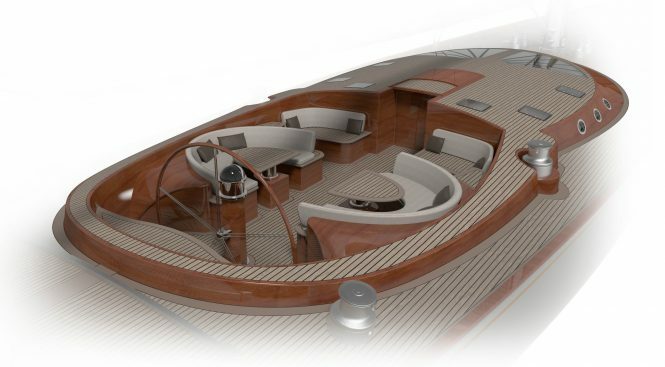 SPIRIT 111 will give outstanding performance both cruising and racing by using the latest hardware and a low freeboard. 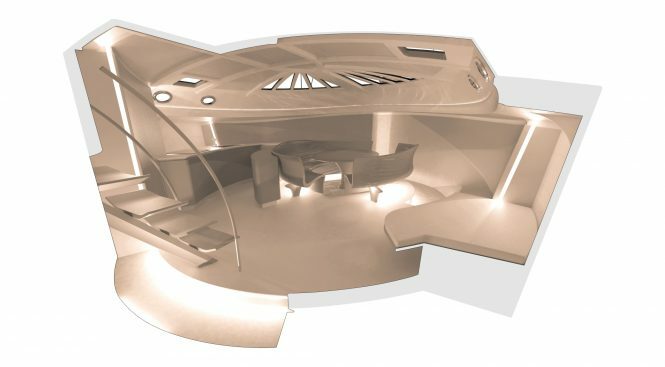 The generous cockpit is designed for entertaining with guests and the two curved seating areas transform into sunbeds for economical use of the deck space. 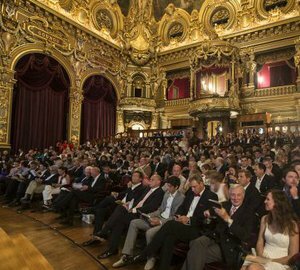 Four high-powered lithium banks allow for extended periods of cruising and enhances her green credentials, making her one of the most environmentally friendly yachts ever created. Inside, the furnishings are moulded to create a seamless appearance. 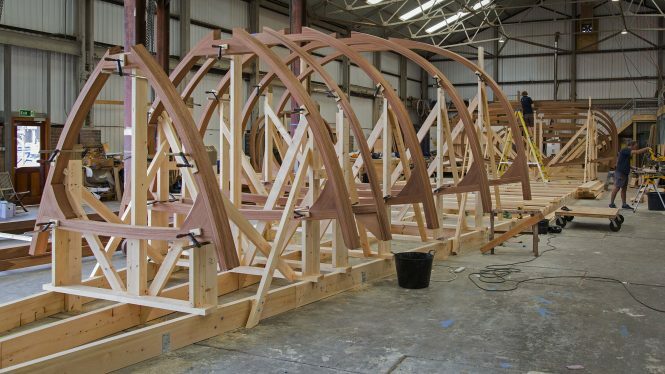 The main salon will feature a skylight for greater natural light, while the owner’s suite and forward guest cabin will make use of steamed timber to ‘cocoon’ the beds, and discreet doors and storage will ensure an uninterrupted, flowing design. 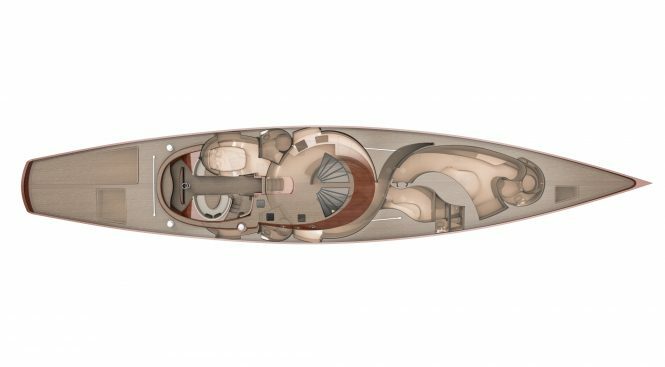 The interiors will be styled by Rhoades Young, the first collaboration for the shipyard with an external design studio, and structural engineering is being completed by Spirit Yachts’s in-house naval architect and Synolo Design. “These designs show for the first time her truly amazing classically beautiful lines; a balanced blend of timeless elegance and practicality that will quite simply wow anyone lucky enough to be on board,” Spirit CEO and head designer Sean McMillan commented on the yard’s largest build to date. 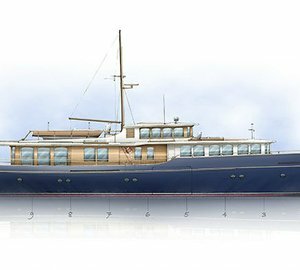 Built to RINA standards, SPIRIT 111 is currently in construction at the Spirit Yachts headquarters in Ipswich, Suffolk, and is due to launch summer 2019. 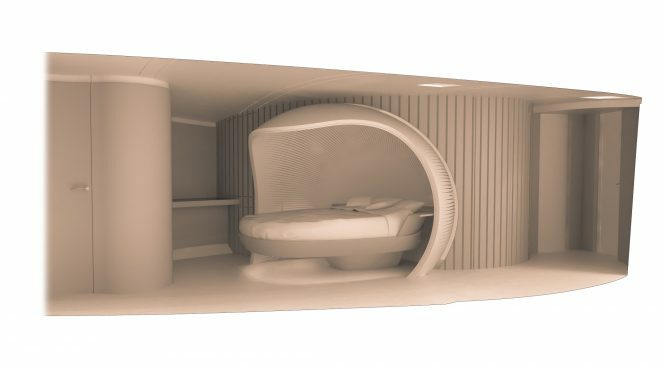 Please contact CharterWorld - the luxury yacht charter specialist - for more on superyacht news item "Spirit Yachts unveils largest wooden yacht concept since 1930s Shamrock V".